It’s finally spring, and we just can’t help ourselves. We’ve spent the last few weekends expanding our garden and filling out our pots and planters. Every weekend, it’s a plant or two more… Last weekend, we were at a local nursery and spotted some adorable hanging succulents – round little moss balls of dangling joy. So cool, had to have one, maybe a couple. Only problem was the shop lady seemed to think this 10″ ball of dirt + mother nature was worth $60, for one! So instead, we brainstormed on the walk back to our house as to how to DIO (do it ourselves). 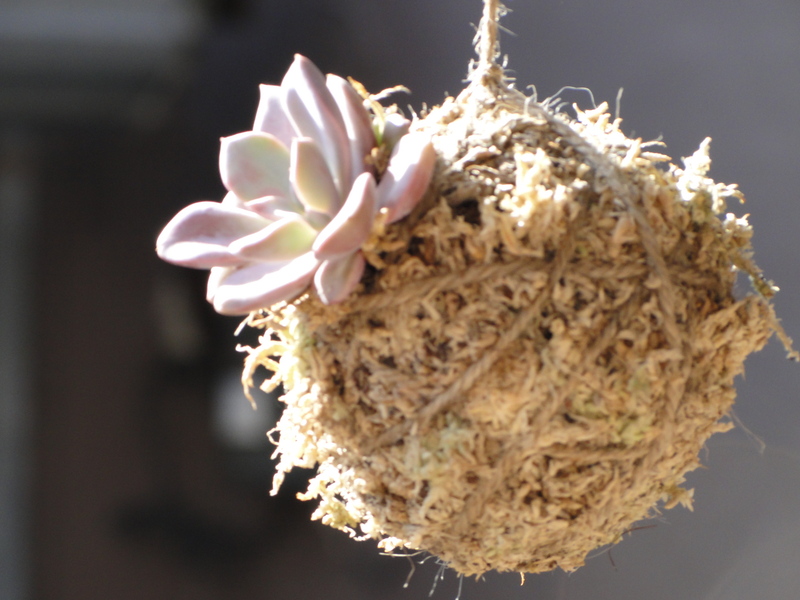 Then we jumped on the tram, did a little googling in transit, bought the necessary materials for $40,and in 2 hours flat had ourselves 4 adorable little Kokedama. The process is shockingly simple, but two sets of hands was definitely necessary for the wrapping. Check out the DIY instructions.